During my visit in England recently, I came across a PSN demo on my friend Ranulf’s PS3 that he really liked. I thought I’d give it a shot, and it turned out to be a game that’s just over a year old, and one that I’d seen before, probably on Youtube, but hadn’t tried myself. It turned out to be just as cool as it initially looked – a 2D platformer with graffiti-inspired story and style. The main character Nox has to navigate his way in a graffiti-world that he unwillingly gets sucked into, and needs to find and fight the evil Spray. In the modern gaming era, the 2D-platformer genre has been diminished to a state where it’s mostly getting indie, modestly-priced entries on PSN/XBLA/Steam. There are some notable exceptions, like Rayman Origins, but those are quite few and far between. That said, having indies work on 2D platformers is not a bad thing at all – nowadays, they’re the ones most willing to innovate (be it due to willing to make a name for themselves, or just sheer passion and desire to deliver something unique – a drive that many big companies in the industry have either lost or are too afraid to exploit anymore). Sideway features some of that much-needed innovation, combined with game design concepts that have been tested and proven through the years. Sideway is a 2D platformer, but it’s taking place in a 3D world. 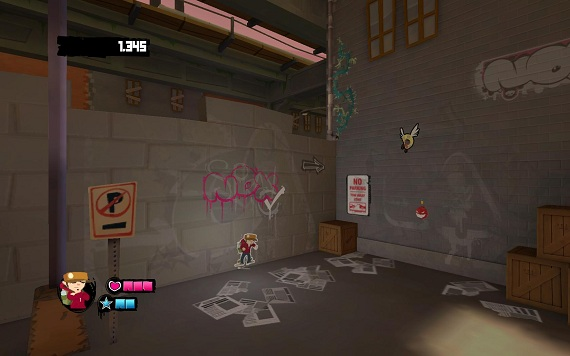 Nox is stuck on graffiti walls, as well as the enemies he has to fight and the platforms and objects he can use. He can move from one wall to another, but always remains trapped in the 2D space. The game pulls off the style nicely, has cool hip hop music and offers a decent challenge (even already in the demo). You start with just two boxes on the health meter, meaning you can take one hit and the second one kills you. Nevertheless, you have infinite lives (the standard for a vast majority of modern games), and there are frequent checkpoints, so you cannot lose too much progress due to a small mistake. You can attack most enemies by bashing them or jumping on their heads, others simply need to be avoided. 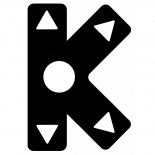 After jumping, you can perform a downward diagonal attack. There are also other attacks and upgrades Nox can learn through his journey. The demo ends at the Alleys 2 level, after a beating a mini-boss who can create generic baddies. It’s a fun experience, overall. The demo suggests that the game is a load of fun, and the price is quite acceptable, too – just $10. Like Scarygirl, this is a budget-priced, online-only game that, while it doesn’t claim to be able to give you the full experience of a $60 game, still offers a lot of content for a modest price. I like that kind of games, not to mention that they often turn out to be more fun than most of their $60 counterparts. 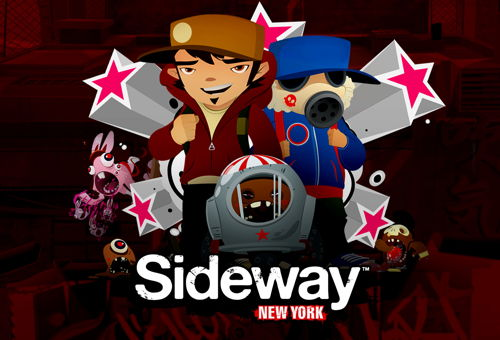 With tight gameplay and controls, the always fun 2D movement in a 3D environment setting, the graffiti-inspired style and the rad hip hop music, Sideway is worth the asking price.